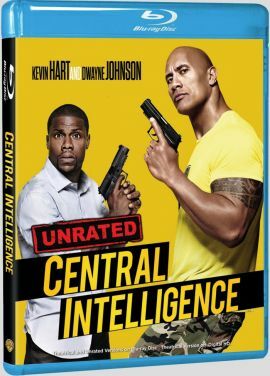 The action comedy Central Intelligence stars Dwayne "The Rock" Johnson and Kevin Hart. It started in theaters with the mass-appealing PG-13 rating, which is not surprising considering the lead actors are famous among teens and the film cost $50 million to make. At the worldwide box office, it could haul in $207 million, making it a financial success. Contentwise, a little more would have been possible as the announcement for the home video release on Blu-ray shows. Apart from the theatrical version, it will contain an Unrated Cut that adds approximately 9 more minutes of material. The DVD will only have the theatrical cut on board. Central Intelligence hits the US home video market on September 27th, 2016. You can order the Blu-ray at Amazon.com.